Urgent PC has been used by thousands of clinical practitioners to deliver millions of treatments since 2003. So, perhaps it’s no wonder that patients undergoing office-based neuromodulation for their Overactive Bladder (OAB) symptoms actually prefer Urgent PC. For over a decade, Urgent PC was the only device available to deliver percutaneous tibial nerve stimulation (PTNS). Recently, a new device, NURO® from Medtronic, was introduced to deliver PTNS therapy, also referred to as percutaneous tibial neuromodulation (PTNM) therapy. You might be wondering how the NURO system compares to the Urgent PC Neuromodulation System. It’s hard to compare clinical outcomes because published, peer-reviewed data for the NURO system is hard to come by. In fact, all the “PTNM” data listed on the Medtronic website is based on PTNS clinical trials performed with the Urgent PC device. In absence of any published comparison, a large urology group*, conducted their own independent, small-scale trial. What they discovered is their patients strongly prefer Urgent PC. The urology clinic used the NURO device on 10 patients previously treated with Urgent PC, along with 2 additional patients. Clinicians asked patients to comment on the NURO device as well as to indicate device preference. 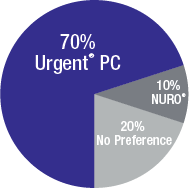 The urology clinic found that patients overwhelmingly preferred Urgent PC to NURO. Of the ten patients treated with both devices, seven preferred Urgent PC, two had no preference and one preferred NURO. There were two primary reasons patients preferred Urgent PC. Four of the patients felt that the stimulation was too strong with the NURO device. One of these patients, along with three additional patients, liked that the Urgent PC device can be adjusted during the treatment session. The patient who preferred the NURO device liked the smaller size and that it provided constant simulation. This information comes on the heels of data that suggest patients really do have a preference when it comes to available treatments for idiopathic Overactive Bladder. In 2015, articles were published in the US and UK based on a web survey with 245 patients. Researchers found that 81% of the patients who had experience with OAB medications were willing to try all three 3rd-line treatments -- sacral neuromodulation (SNM), onabotulinumtoxin A, and PTNS. How Can We Make Urgent PC Your Preferred Treatment for Refractory OAB? Urgent PC is the proven PTNS device in terms of data and experience. Cogentix Medical also aspires to provide the highest in customer support with patient education and onboarding materials. Please contact us to learn more. *Wishes to remain anonymous due to customer relationships. Urgent PC is indicated for the treatment of Overactive Bladder and associated symptoms of urinary urgency, urinary frequency and urge incontinence. Treatment with Urgent PC is contraindicated for patients with pacemakers or implantable defibrillators, patients prone to excessive bleeding, patients with nerve damage that could impact either percutaneous tibial nerve or pelvic floor function or patients who are pregnant or planning to become pregnant during the duration of the treatment. Most patients don't experience side-effects. If side-effects occur, they are typically temporary and include mild pain and skin inflammation at or near the stimulation site. Caution: Federal law (USA) restricts this device to sale by or on the order of a physician. For complete instructions for use, storage, warnings, indications, contraindications, precautions, adverse reactions and disclaimer of warranties, please refer to the insert accompanying each product or online at www.cogentixmedical.com. Urgent and NURO are registered trademarks. © 2016 Cogentix Medical. All rights reserved. 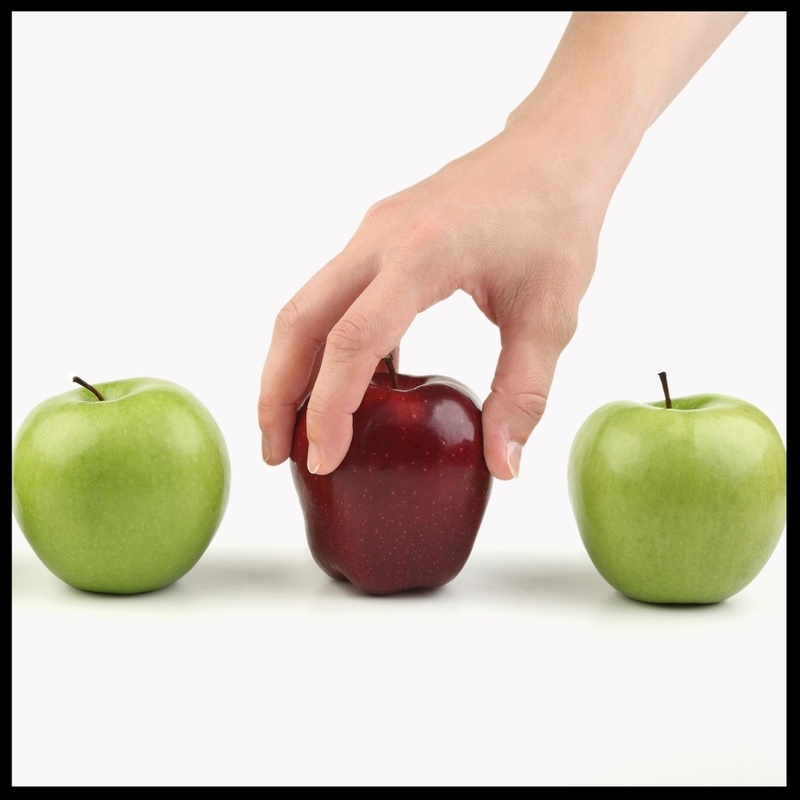 Blog posts written by Urgent PC providers represent that provider's experience and opinions. Cogentix Medical has not tested or verified the effectiveness of technical or practical recommendations that deviate from the Instructions for Use.